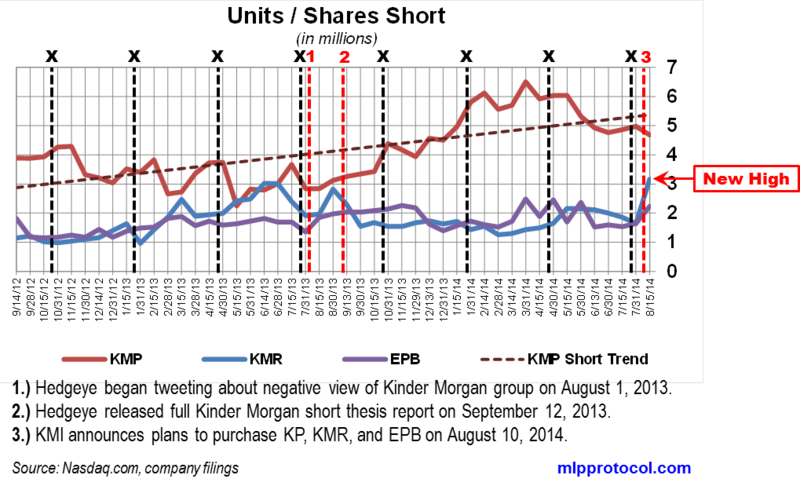 NOTE: The large increase in KMI was somewhat expected, as I mentioned in the last Kinder Morgan short trend post; however, I am slightly surprised by the large increase and new high in the KMR short position. It seems like the “easiest” way to play the M&A Arb game with this transaction is to short KMI and go long KMR because KMR does not generate a K-1 and the exchange ratio for that part of the deal is all KMI stock and no cash in exchange for KMR shares. 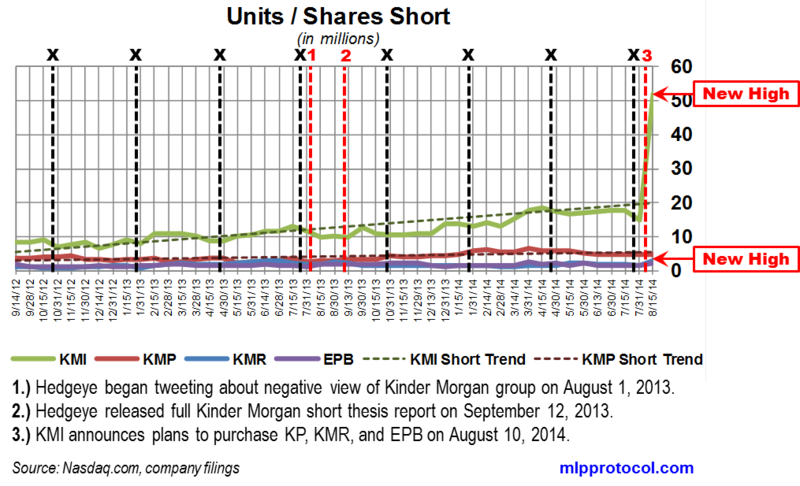 This entry was posted in Kinder Morgan Group Short Interest and tagged $KMI, $KMR, distributions, dividends, investments, Kinder Morgan, Kinder Morgan Energy Partners, KMP, Master Limited Partnerships, MLP, MLPs, yield. Bookmark the permalink.